Acer to Dump Netbooks completely! Looks like Acer just has had it. Acer now says that it will dump its Netbooks completely and focus on building ultrabook models in the second quarter of 2012 and new models in 2013. Company chairman JT Wang announced on Thursday that his company’s goal will be for ultrabooks to account for 25-35% of company sales in 2012. The company’s plans come after the Acer Aspire S3 brought in sales of 250,000-300,000 units in the first quarter of launch. The company is also planning to push their reach further into Brazil, the Philippines, Thailand and other Southeast Asia markets which will allow Acer to make up for slowing sales in the US and parts of Europe. 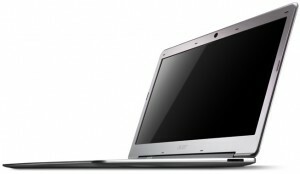 However very little was mentioned of the Acer Netbook market but rumor is that Acer will kill its Netbook market. Next White Nokia Lumia 800 Spotted!